There's a reason the Guns N Roses song is called November Rain, and not, say, October Rain or December Rain. 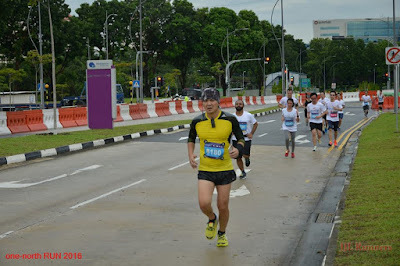 I remember it rained during the first Hello Kitty Run in 2014. What month was it held? November. Yesterday morning, the One-North Run 10km race was cancelled because of the weather. The flag-off was supposed to be at 6:30am. It didn't happen. 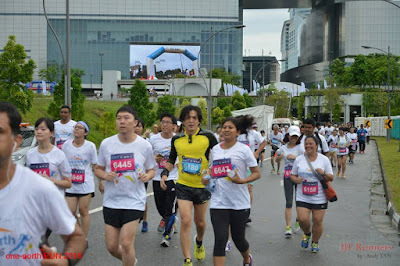 So instead, I joined the 5km race, which was delayed from 7:30am to 8am. 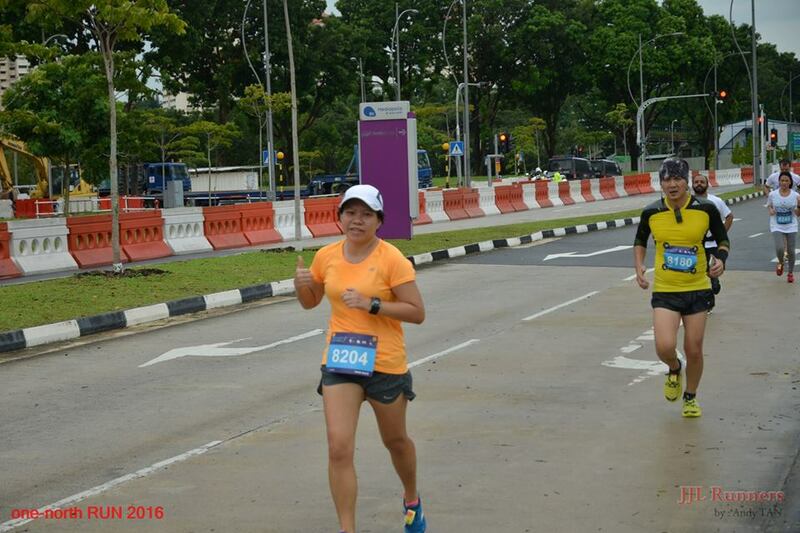 I signed up for this race because this is a part of Singapore I've never been before. Not a particularly scenic route. It's all just office buildings, albeit with some interesting architecture. I doubt I would want to run here again. 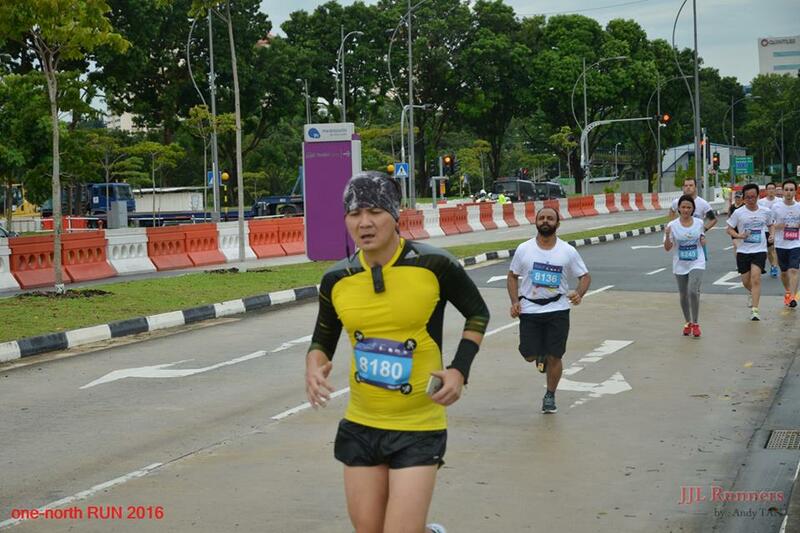 Dig my yellow-and-black race ensemble. The event area was at the new Mediacorp campus at Mediapolis. The only celebrity I saw and recognised was Felicia Chin. Remind me not to join any more November races in the future.